My name is Aaron Gillett, the founder and builder of Blind Owl Harmonicas. 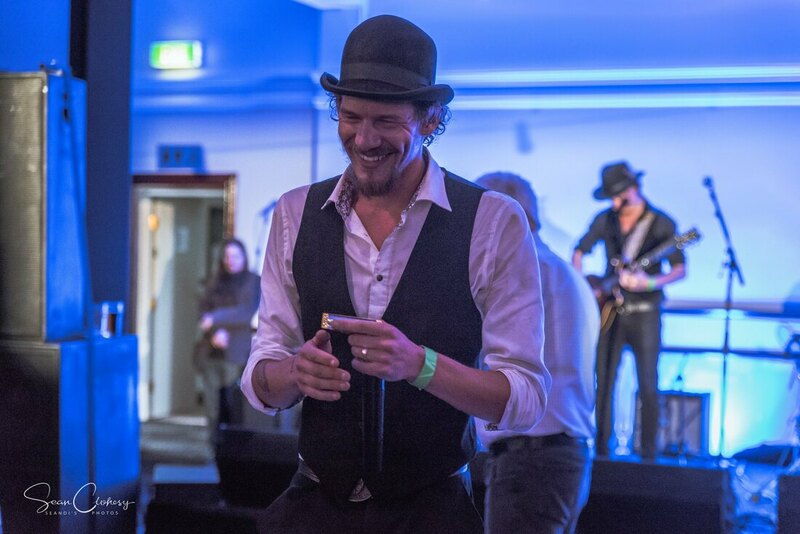 I am an Australian harmonica player, based in Melbourne. I have been playing, studying and teaching the 'blues harp' professionally for the past 10 years. Whether playing in my main band, Catfish Voodoo, playing solo harmonica shows, or playing sessions for various artists and bands, I have developed a very demanding standard for the quality and playability of the harmonicas I use. ​ I have been repairing and modifying my own harmonicas since 2010, and since then have learnt and developed several methods for improving the sound quality, durability and overall playing comfort of the 10 hole diatonic harmonica, specialising on the Hohner Marine Band no.1896. Please have a look around the site at the custom harmonica models, or the services available and feel free to contact me with any questions or queries.